Sir Henry Solomon Wellcome FRS (August 21, 1853 – July 25, 1936) was an American British pharmaceutical entrepreneur. 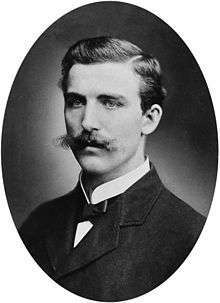 He founded the pharmaceutical company Burroughs Wellcome & Company with his colleague Silas Burroughs in 1880, which is one of the four large companies to eventually merge to form GlaxoSmithKline. In addition, he left a large amount of capital for charitable work in his will, which was used to form the Wellcome Trust, one of the world's largest medical charities. He was a keen collector of medical artifacts (Wellcome Collection). Wellcome was born in a frontier log cabin in what would later become Almond, Wisconsin to Rev. S. C. Wellcome, an itinerant missionary who travelled and preached in a covered wagon, and Mary Curtis Wellcome. He had an early interest in medicine, particularly marketing. His first product, at the age of 16, was invisible ink (in fact just lemon juice), which he advertised in the Garden City,(MN) Herald. He was brought up with a strict religious upbringing, particularly with respect to the temperance movement. His father was a strong member of the Second Adventist Church. He was a freemason. In 1880, Wellcome established a pharmaceutical company, Burroughs Wellcome & Company, with his colleague Silas Mainville Burroughs. They introduced the selling of medicine in tablet form to England under the 1884 trademark "Tabloid". Previously, medicines had been sold mostly as powders or liquids. Burroughs and Wellcome also introduced direct marketing to doctors; giving them free samples.. In 1895, Burroughs died, aged 48, leaving the company in the hands of his partner, Wellcome. The company flourished and Wellcome set up several research laboratories linked to the drug company. In 1924, Wellcome consolidated all his commercial and non-commercial activities in one holding company, The Wellcome Foundation Ltd. In 1901 Wellcome married Gwendoline Maud Syrie Barnardo, a daughter of orphanage founder Thomas John Barnardo. They had one child, Henry Mounteney Wellcome, born 1903, who was sent to foster parents at the age of about three. He was considered to be sickly at the time, and his parents were spending much time travelling. The marriage was not happy, and in 1909 the couple separated. After that Syrie (as she was known) had several affairs, including with the department store magnate Harry Gordon Selfridge, and the author William Somerset Maugham with whom she had a child (Mary Elizabeth) and later married. Wellcome sued for divorce in 1915, naming Maugham as co-respondent. The suit attracted large amounts of publicity that he had previously tried to avoid. Syrie never contested Henry's custody of their child, Henry. In 1910, Wellcome became a British subject. He was knighted in 1932. In 1932, he was made an Honorary Fellow of the Royal College of Surgeons of England. He died of pneumonia in The London Clinic in 1936, aged 82, after an operation. On his death, the Wellcome Trust was established. In his will, Wellcome vested the entire share capital of his company in individual trustees, who were charged with spending the income to further human and animal health. The Wellcome Trust is now one of the world's largest private biomedical charities. The first biography of Wellcome was commissioned by the Wellcome Trust in 1939, by A.W. Haggis, a member of staff at the Historical Medicine Museum Wellcome had established. But, the Trustees were dissatisfied with the final draft of 1942, and the biography was never published, although the drafts are freely available for consultation at the Wellcome Library. 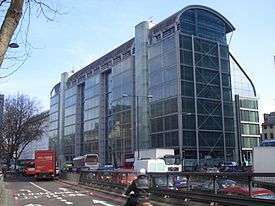 A biography of Wellcome was written by Robert Rhodes James and published in 1994. In 2009, An Infinity of Things: How Sir Henry Wellcome Collected the World, written by Frances Larson, was published by Oxford University Press, after both Wellcome's personal and business papers had been catalogued. After Wellcome's death, the income from the Foundation, initially via dividends, later via more tax efficient deeds of covenant, was used to fund the Wellcome Trust, providing endowments for pharmacology departments to educate and train the researchers of the future. After changes in UK charity law the Foundation was sold to GSK and the receipts invested in a broad ranging portfolio. The Trust then became the largest charity in the UK, providing funding for focus areas such as biomedical science, Technology transfer, Public engagement and Bioethics. Grants and fellowships are available to recipients with goals of translating research into usable health products. The trust currently spends over $600 million a year in medical research training. In 1955, the Burroughs Wellcome Fund (BWF) was established as the U.S. branch of the Wellcome pharmaceutical enterprise; in 1993, a $400 million gift from the Wellcome Trust enabled BWF to become fully independent from the company, and it became a is a private, independent biomedical research foundation based in Research Triangle Park, North Carolina. Newly started programmes by the Wellcome Trust include the creation of research training programmes for physicians wishing to pursue careers in academic medicine, which the trust started in October 2010. Also currently, the foundation supports clinicians' research to develop treatments for obesity using natural appetite suppression. 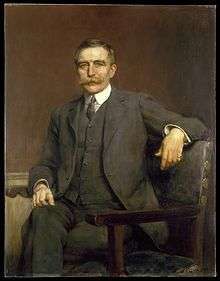 Portrait of Henry Wellcome by Hugh Goldwin Rivière, 1906. Part of the Wellcome Collection. Wellcome had a passion for collecting medically related artefacts, aiming to create a Museum of Man. He bought for his collection anything related to medicine, including Napoleon's toothbrush, currently on display at the Wellcome Collection. By the time of his death there were 125,000 medical objects in the collection, of over one million total. Most of the non-medical objects were dispersed after his death. He was also a keen archaeologist, in particular digging for many years at Jebel Moya, Sudan, hiring 4000 people to excavate. He was one of the first investigators to use kite aerial photography on an archaeological site, with surviving images available in the Wellcome Library. Parts of Wellcome's collection have been exhibited in the Science Museum, London, since 1976, and in the Wellcome Collection as the exhibit "Medicine Man" since 2007. His collection of books, paintings, drawings, photographs and other media is available for viewing at the Wellcome Library. In 2003, the Quay Brothers directed a short animated film in tribute to the collection entitled The Phantom Museum. The Story of Metlakahtla. London; New York: Saxon, 1887. ↑ Wenyon, C. M. (1938). "Henry Solomon Wellcome. 1853-1936". Obituary Notices of Fellows of the Royal Society. 2 (6): 229. doi:10.1098/rsbm.1938.0003. 1 2 Henry Wellcome's Faces of Philanthropy profile page. Faces of Philanthropy, accessed December 16th, 2010.